This month we were privileged to sit in the shade of Palm Trees on the beaches of Captiva and Sanibel Island off the coast of Ft. Meyers in Florida. There are many hundreds of Palm tree species including the Date Palm which many think was the tree of life in the Garden of Eden, (The Palm is mentioned 30 times in the Bible and 22 times in The Quran) The Oil Palm provides oil for much of the world, and the Coconut Palm is used for everything from fibre and food to antibiotics. The coconut water is one sterile source of drink that can last through hurricanes and Tsunamis. Everyone from the North has a mental picture of of tropical seaside and in that picture there are always Palm Trees. Because they are so well adapted to that environment we often see them bending under hurricane force winds... and seldom breaking. The slender trunk with a tuft of growth at the top is built to withstand extremes of heat and wind. The ‘branches‘ of Palm Trees are actually evergreen fronds or leaves that arise from the growing point near the top, like leaves of grass. In fact Palms are in the Grass family (monocots) unlike the northern trees that we are familiar with (dicots). All Chicago area trees have a vascular cambium located just below the bark which annually adds a whole new layer on top of the old layer very much like coral growth. Palm Trees have no annual rings. Their vascular system is hidden in the interior of the trunk like our human vascular system. This means that the trunks of Palms stay the same girth forever once they have been formed. As I contemplate these wonderful trees I’m sad to report that over logging and non sustainable production of Palm Oil is sending many Palms into extinction, as well as the animals (specifically Orangoutangs) whose homes are the tropical forests of Malaysia. Palm oil is found in everything so to help save Palm forests here is a short list of major manufacturers that have or are switching to sustainable Palm oil production; Kellogg, Nestle, Proctor and Gamble, McDonalds, L’Oreal. For a more complete list of responsible products Google Sustainable Palm Oil. While you’re in Florida or some other warm place you may see a Palm Tree (Cocos nucifera) sticking out of the trunk of a Fig tree (Ficus aurea). You can amaze your friends by telling them that they are looking at a Strangler Fig. Don’t let the name put you off, there’s an interesting story to tell. The Fig seeds support a host of wild life, especially birds. The birds eat the seeds, then fly to roost in the shelter of the Palm trees. Their seed bearing droppings lodge and germinate in the moist axils of the Palm fronds. The sprouts grow leaves and send an aerial root down the Strangler Fig by Lesley Bruce Smithdistance of the trunk until it finds the soil. This sounds easy but it is not. For several seasons the Fig lives like an orchid, getting it’s food from the sun and its water and minerals from the humid air. Most of the seedlings die trying to reach the soil. When the Fig seedling roots in the soil the growth accelerates. Using the Palm as support the Fig grows more branches and aerial roots which drape themselves over the Palm eventually encircling the entire trunk. Hence the name, Strangler. The Palm however, unlike most other trees won’t be strangled because it’s trunk does not expand as it grows. The Palm is in the grass family (monocot) so it does not have a vascular system on the outside of the tree as our trees in the Chicago area do. The Palm’s vascular system is hidden in the interior of the trunk. So the Palm is never strangled by the Fig. 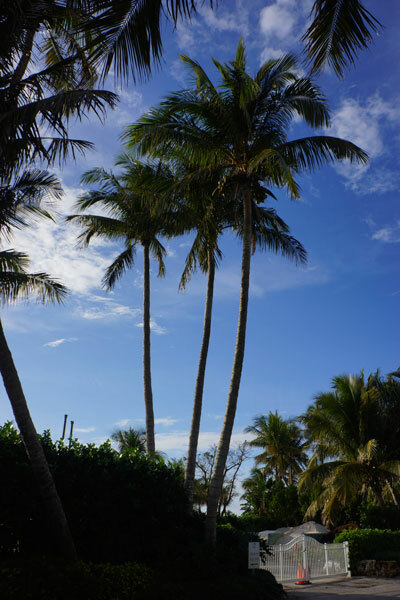 Coconut Palms live lives with many parallels to our human lives. The seed takes about a year to germinate. They become sexually mature at about 14 years. They live about 80 years and in some cases they live encircled, or maybe obscured by those whose lives they’ve gotten tangled up with. As Gil has mentioned, we slipped away for a few days of much needed winter R & R on the beautiful Islands of Captiva and Sanibel in Florida earlier this month. We were reminded of Hurricane Charley while there, which happened back in 2005. We have been vacationing on Sanibel for over a decade and it has a completely different look and feel than it did before Hurricane Charley came to call. We are often telling clients that most storm damage can be prevented. In the case of Charley the eye of the storm passed right over the islands of Sanibel and Captiva and had sustained winds of 150mph and gusts up to 180mph. With those winds and accompanying rainfall hardly anyone could expect that storm damage would be preventable. The amazing thing is that the native trees, Palms and Figs survived pretty well, whereas the non-native introduced Australian Pines that were so prolific on the islands before 2005 are almost entirely gone. At least a third of Sanibel Island is a nature preserve and much of that is made up of the Ding Darling National Wildlife Park. I think the reason we love this part of the Florida coast is that it has managed to remain predominantly underdeveloped while preserving much of its natural habit. It is a refuge for so many species of wildlife including hundreds of migratory bird species that attract enthusiasts from all over the world. 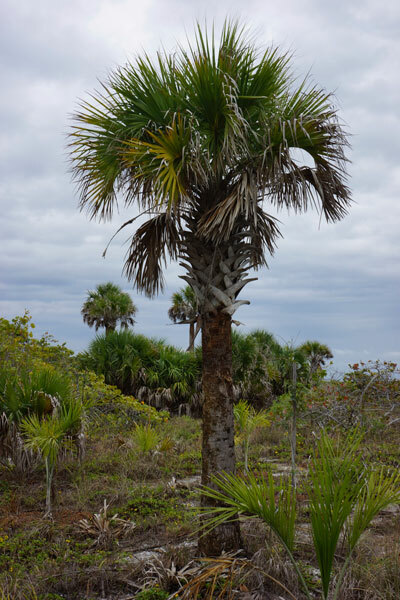 The officials on Sanibel and Captiva took the opportunity of Charley’s devastation to remove thousands of non-native Australian Pines that were responsible for vast amounts of property damage. So although the islands don’t have quite the same feel as their pre 2005 selves, they actually look far more like the tropical islands tourists “discovered” over 100 years ago and are far less prone to future hurricane damage.